Karim Khalil appears in many of the most serious and high profile cases across the UK. He also advises and represents people in cases involving issues of foreign jurisdiction and/or cross border matters. He is equally happy to work with hard copy or digital materials and has a formidable reputation for working quickly and effectively. He took Silk in 2003 prior to prosecuting the Soham Murders, having been called to the Bar in 1984 and becoming one of the youngest Assistant Recorders/Recorders. His advice and advocacy is sought across diverse fields including murder, gross negligence manslaughter, 'baby-shaking’, serious fraud (including Inland Revenue, Customs & Excise and MTIC), Health & Safety, drug trafficking and sexual offences. 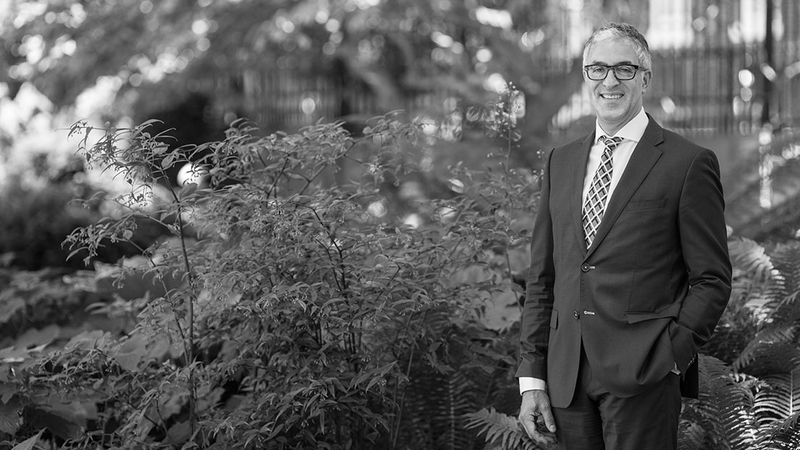 Karim has a special interest in cases involving forensic experts across a wide spectrum. Karim has represented those seeking to avoid extradition when accused or convicted of multiple homicides in foreign jurisdictions. He advises those considering private prosecutions and is a qualified Mediator and mediation advocate. His close association with Cambridge University enables him to draw on significant expertise and has contributed to making him one of the Directory ranked leading Silks in the cross-examination of experts in may fields. He wrote the chapter on Confiscation Law for Lexis Nexis and has been asked to contribute to a new journal on palynology (plant based forensics). Karim successfully resisted criminal proceedings against one of the government scientists in the Porton Down investigation. He has been involved in many trials involving Police informants. He has represented prisoners before the Discretionary Lifer Panel and regularly represents appellants in the Court of Appeal, often superseding trial Counsel. Karim has long championed the increased use of digitally presented evidence and was the keynote speaker at the inaugural conference for SIOs across the country, working closely with Acume. He was invited to become a member of the British Academy of Forensic Sciences following his keynote speech on the “The science of the Soham murders”. Since their launch, Karim has consistently been placed among the top ranked list of Silks in the Legal 500 and Chambers & Partners Directories. Advised northern football club in relation to their dispute with the relevant football authority re the suitability of their ground and their administrative demotion in relation to allegations of financial impropriety. Successful defence of teenage defendant charged, along with three others, of murder. Successful defence of Dutch national accused of drug-related ‘execution’. High profile case acting for murderer’s accomplice. Led Charles Myatt. Successful defence to murder of wife with hammer blows to head on the basis of ‘loss of control’ – the partial defence replacement to provocation. Successfully defended the ‘frontman’ for a series of frauds and related money laundering allegations over 6 years upon UK and foreign individuals and companies totalling over $40m. Led Andrew Shaw in securing the only acquittal of a defendant in the “Christmas Day” murder. Defence to Murder by strangulation: Jury accepted lack of intent due to the defendant’s severe alcoholism. Successfully prosecuted and resisted the appeal in a series of historical rapes culminating in a murder between 1974-1979. Largest case investigated by Cambridgeshire constabulary since the Soham murders. Prosecution on behalf of CPS Complex Crime Unit in a high profile shotgun ‘execution’ of two members of the travelling community. Led Greg Perrins. Prosecution and significant POCA of a family and their accomplices of running restaurants staffed by illegal immigrants and retail outlets selling counterfeit goods. Chambers & Partners 2013 directory states: "He is meticulous, thoughtful, a superb strategist and a spell-binding advocate". 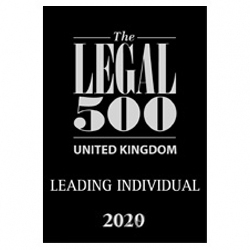 Legal 500 recommends Karim, stating "A spellbinding advocate". He is considered by his peers to be one of the leading figures in his practice area. He has significant experience of taking on some of the highest-profile, most sensitive and high-value cases. He has particular expertise in cases concerning fraud and murder. "He's extremely charming". "He's absolutely fantastic". "Standout criminal silk with established practices in London and the South East. He has a varied practice, prosecuting and defending major cases of actual and attempted murder, firearms possession and sexual offences". "He is phenomenal". "A supreme lawyer". "A commanding Criminal advocate on the South Eastern Circuit. He has extensive experience of handling severe criminal matters, such as mass homicide, corporate manslaughter and possession of firearms cases." Client feedback states: "He is extremely amazing - judge material. He is probably the best criminal silk on circuit." “Has a presence and authority enhanced by his time sitting as a recorder at the Old Bailey. His highly respected practice encompasses the full range of serious criminal offences, including fraud and murder.” Legal 500 also recommend Karim, stating "He is particularly experienced in cross-examining a wide range of scientific experts." "Highly recommended for his superb handling of serious criminal cases. His caseload encompasses a wide range of work, from homicides to complex frauds. Clients state that "...he certainly has that skill on his feet - he's able to hold the court's attention perfectly." Chambers & Partners 2012 directory states: Karim Khalil QC is now joint head of the set. Sources speak highly of his service ethic: "His attention to detail and preparation are second to none." High-profile work is a given, as illustrated by his appearance for the defence in the murder trial of R v Tucker. Karim Khalil and Angela Rafferty prepared the submissions of the South Eastern Circuit for the Law Commission Consultation Paper No 173 on “Partial Defences to Murder”.